Published on June 21, 2010 in Bands/Artists, Downloads, Media, Music, Retail, Reviews and Vinyl. 0 Comments Tags: Country Hai East Cotton, Court & Spark, flac, Heaven & Earth Magic Recording Company, Hiss Golden Messenger, mp3, review, Root Work, Vinyl. When I heard that the next Hiss Golden Messenger release was going to be made available on vinyl I was pretty excited to hear it. 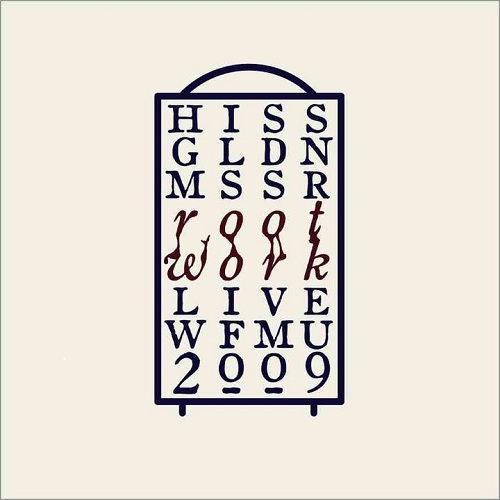 I was a little disappointed that it wasn’t going to be new HGM songs but an EP to be titled Root Work based on a live radio session in August recorded by Irene Trudel on WFMU. I’d had the tracks that would make up Country Hai East Cotton since 2007 and the album proper came out last year. I was getting pretty hungry for some new material from MC and company! The lineup for Root Work is Slim Diamond (MC Taylor) on vocals and guitar, on bass and lapsteel is regular HGM member Scott Hirsch, Yair Evnine on guitar, Terry Lonergan on percussion, Robert Stillman on piano and Fender Rhodes, and Crowmeat Bob on horns. The resulting six-track recording is less a re-hashing of Country Hai East Cotton than it is a re-imagining of the source. I think this is partially a product of the chemistry of the musicians as well as MC and Scott benefiting from a perspective two years after the original album was recorded. The fresh perspective seems to allow the band to exercise some light improvisation. “John Has Gone to the Light” goes from an almost five-minute track to an almost nine minute song. 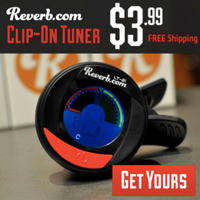 The band spends more time riding the loping dub beat before succumbing to the double reggae-time chorus. “Lion/Lamb” actually gets edited from the epic Traffic-ish “Lion” on Country Hai down to a just over three-minute stripped down folky strumming guitar and mandolin. “Resurrection Blues” was a cursing post-death two-beat march on Country Hai. On Root Work it becomes a bluesy sax-driven gospel swagger. The call-and-response makes me think that the Blind Boys of Alabama should cover this version! “O Nathaniel” is stripped and slowed down to reveal the rich palate of the vocal melody at the sacrifice of the more pronounced double-time Fleetwood Mac glissando payoff at the chorus on. But, on the Root Work version of this song we get a really great guitar solo as the song wraps up that would make Lindsey Buckingham take a second notice. “Isobel” doesn’t vary much from the original version, but it is clear that MC is comfortable hanging on notes in his vocal making the whole song a more relaxed and bluesy experience. The new mix of instruments and in particular the piano riffing is a welcome development to the song. “From a Lincoln Continental (Boogie Interpolated)” I thought this Tim Rose cover from Country Hai ended up sounding a bit like a “Digging In The Dirt”- period Peter Gabriel due to the clockwork approach to the instrumentation. On Root Work “Boogie” gets a welcome extended swampy blues workout. The song ends up sounding a lot more like the original Tim Rose version this way. I caught up with MC last week and the pre-sale is up on the Heaven & Earth Magic Company website. Heaven & Earth Magic Company is the record label MC and Scott Hirsch started for their projects. Their first release was Country Hai East Cotton. The vinyl release of Root Work is a frighteningly limited one-hundred records– each numbered with covers designed by Brendan Greaves and hand screened by MC! The record is $15 (around $20 shipped) and comes with a digital download from bandcamp so you can get 320Kbps mp3’s or FLACs (or just about anything else actually). This is a steal, frankly. If you’re not into the vinyl thing, you can just order the download for a very reasonable $6 or you can pick individual tracks for $1 apiece. The debate over the versions of the songs between Country Hai East Cotton and Root Work is akin to debating the merits of red versus white wine. Either is appropriate depending on when you’re drinking. I’m looking forward to drinking in the subtle tannins and liquorice notes of the vinyl pressing of Root Work. Click Here to listen to tracks from Hiss Golden Messenger’s Root Work and to order digital download or vinyl pressing with digital download. Published on May 23, 2010 in Bands/Artists, Downloads, Media and Music. 0 Comments Tags: arbouretum, Aural Slate, Aural States, download, flac, Live, mp3, Neil Young, Wye Oak. It was a happy surprise for me this week to find out that Arbouretum released a new recording! 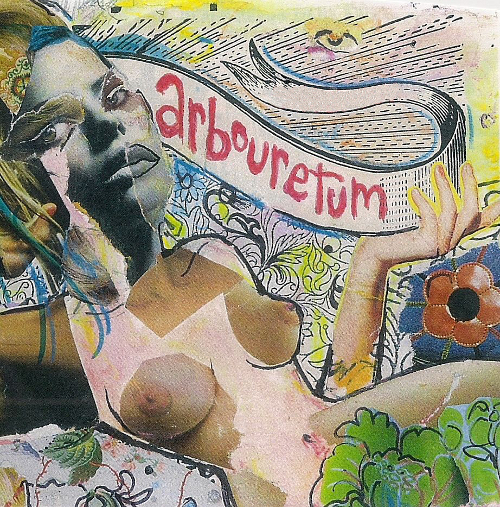 Part of the burgeoning Baltimore Indie scene which seems to favor sludgy guitar tone, Arbouretum is singer/songwriter/guitarist David Heumann with a rotating cast of supporting characters. Arbouretum has been on Thrill Jockey for the last three releases (2007’s Rites of Uncovering, 2008’s split with Pontiak Kale, and 2009’s Song of the Pearl). On April 10th Arbouretum and another Baltimore duo The Expotentials played a gig at a secret venue known only as The Granfaloon. For this show, Arbouretum trotted out the over-51-minute composition that makes up the new CD/download and second release from Aural Slate— the house label for the Baltimore/D.C.-scenester blog Aural States, which I discovered about the same time I found out about Arbouretum. Aural States is worth following and it is a dream of mine to run a boutique label, so I’m watching Greg Szeto’s progress in this space closely– he’s off to a good start with his second release Couldn’t Hit It Sideways by Arbouretum. Couldn’t Hit It Sideways is 51-minutes of churning, chugging improvisation and exploration of a simple and familiar chord progression. To many the concept of this recording might seem tedious and repetitive– and certainly I wouldn’t recommend this as a first exposure to Arbouretum as it doesn’t showcase the strong vocals and lyrics from Heumann. However, even with the 5-minute sample that is provided one can see how Heumann creates and tears down guitar lines– subtle changes that roll over the constant rhythm anchored by the bass and drums laid down by Corey Allender and JV Brian Carey. The physical CDR will be available at the live shows Arbouretum is doing this Spring (some with Pontiak! ), but you can get either 320Kbps mp3 or FLAC (yay!) for $5 from Aural Slate. Click Here to getcha some Arbouretum! In other Arbouretum news, the blog Bmore Musically Informed has an mp3 download of Arbouretum’s show from the G Spot on 1/29/10. The show features a great selection of Arbouretum tracks and closes with an astounding version of Neil Young’s “When You Dance I Can Really Love” joined by Wye Oak! Click Here to see pix and the link to download that show! 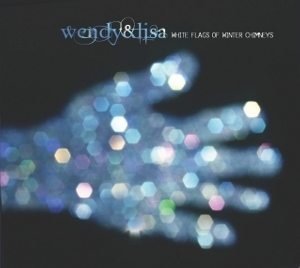 Published on June 8, 2008 in Bands/Artists, Downloads, Music, Out and About, Upcoming Show and Vinyl. 0 Comments Tags: "thrill jockey", arbouretum, Dave Heumann, Downloads, flac, Kale, Live, mp3, Pontiak, television hill, Wye Oak. As I mentioned earlier, Baltimore’s Arbouretum is releasing a split album with new Thrill Jockey signees Pontiak called Kale. The two bands played one show together in Baltimore on June 4th at The Talking Head. I knew about the show, but I didn’t know that the show was taped and available for download via Aural States which is a blog/site dedicated to happenings in the music scene of Baltimore. Arbouretum headlined and played a set of mostly tracks from Rites, but also included one of the covers from Kale “Buffalo Ballet.” A great set, in my opinion.” Pontiak’s set was also very good and included “Dome Under Sky” from Kale. The opening act was another side project of Dave Heumann from Arbouretum called Television Hill. Television Hill is more of a throwback folk/blues outfit, but still very good. This set is available from Beatbots which also covers the Baltimore scene. Big thanks to Jeff the Taper who made these recordings available. Click Here to stream or download Arbouretum’s set. Click Here to stream or download Pontiak’s set. Click Here to stream or download Television Hill’s set. Aural States is also hosting a live set from Wye Oak from March along with an interview. 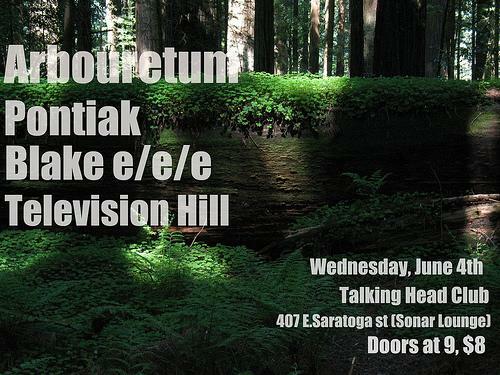 I’m hoping that I’ll be able to catch the show next weekend with Pontiak and Wye Oak in Iowa City! The Time to play b-sides archives for the flac tag.